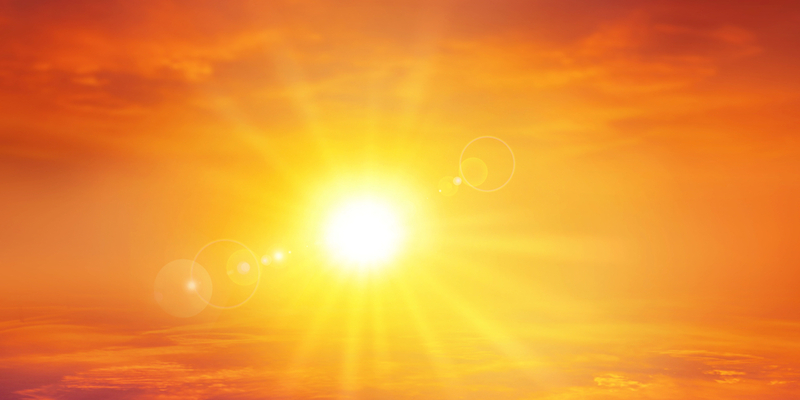 Today officially marks the first day of summer, also known as Summer Solstice (or “the longest day of the year”). In honor of this day, we decided to investigate why summer days are considered “longer”. Weather.com helped us learn that the northern hemisphere gets the most sunlight during this season because it is tilted more toward the sun. To be exact, our sun will land directly on the Earth’s Tropic of Cancer, which is located 23.5 degrees north of the equator. The sun’s exact peak depends on where you are located. 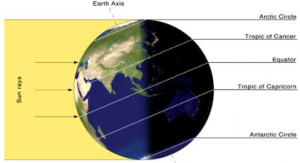 For areas that are north of the Tropic of Cancer, it will be around 1 p.m. Eastern Time. However, no matter where you are in the nation, today will have more sunlight hours than any other day of the year (with more time the further north you are). Seattle is expected to have about 16 hours of sunlight today, and Miami is expected to get about 13.5. Here in the DFW area, we can count on having at least 14 hours of sunlight today. In addition, at this time, the North Pole is facing the sun more than any other time of year. In fact, NASA says that the North Pole even gets 30% more incoming solar radiation than the equator does during this time. The sun doesn’t set on this day here, but instead can be seen taking a circular path as the Earth rotates. From this point on, until Winter Solstice arrives, the days will gradually be getting “shorter” with less and less sunlight during the daytime. In winter, the DFW area gets just under 10 hours of daylight.